In the medieval times the city gate was rather important, not only protecting the city from enemies and burglars, but also helping to control the trade. The first data on the gate of Klaipėda dates back to the 13th century. The most important of them included: the Bridge gate, the Libauer gate and Kūliai gate (the Stone gate). 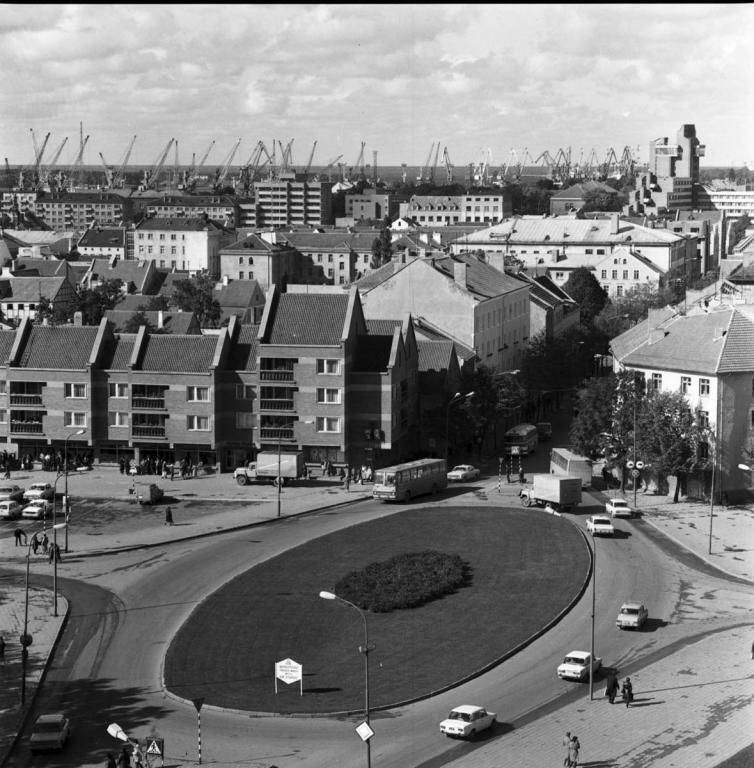 People passing through Kūliai gate could choose between two roads: the left one taking on the modern-day Bangų street to the windmill near the modern-day Malūnas (former Trinyčiai) pond, while the right one took to Sendvaris, continuing on to Priekulė and Tilsit or towards Samogitia. 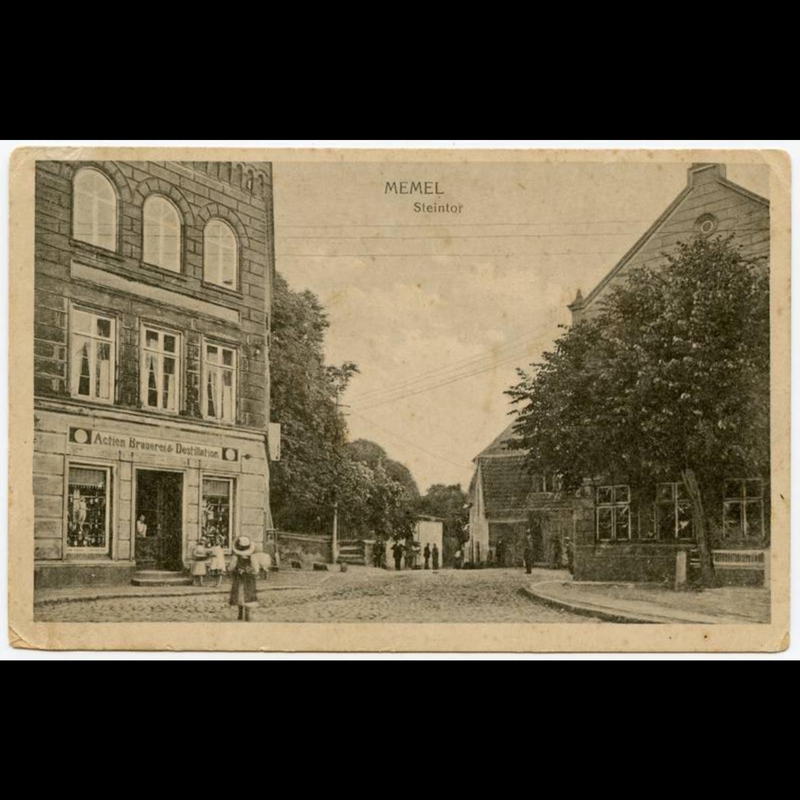 The main part of Kūliai gate was demolished in 1820 and completely dismantled in the first half of the 20th c.
Before the war Kūlių Vartų street (Steintorstrasse) was full of life. 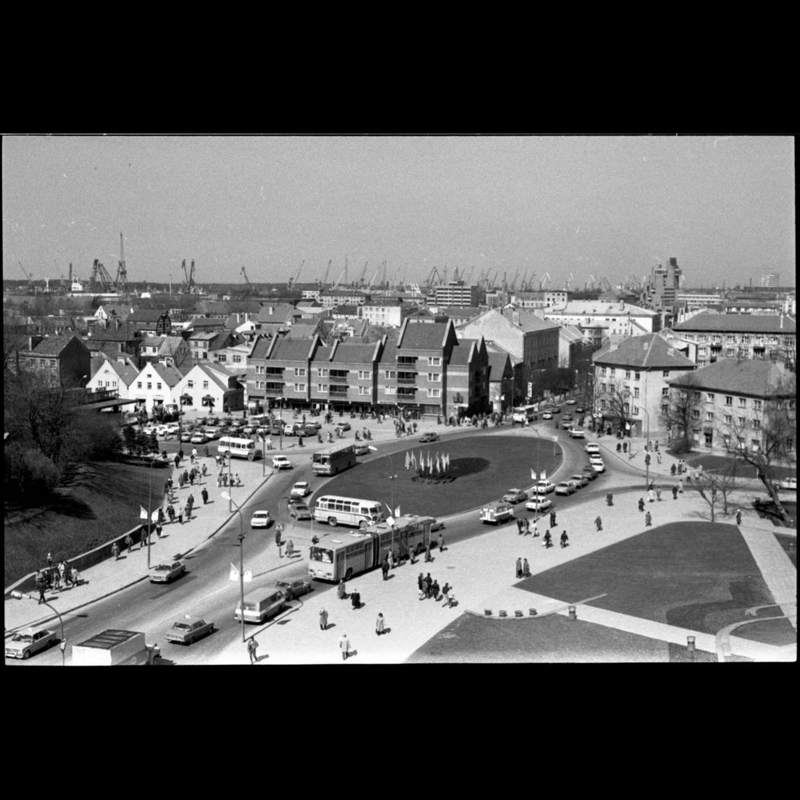 There were residential buildings, inns, shops, cafeterias, workshops, the impressive building of the counts Tiškevičiai with a tower, Klaipėda brewery, owned by shares, as well as warehouses. On Kūlių Vartų street there also was Klaipėda County Hospital. The street today is completely different. The majority of the buildings were destroyed during the World War II or the soviet era. 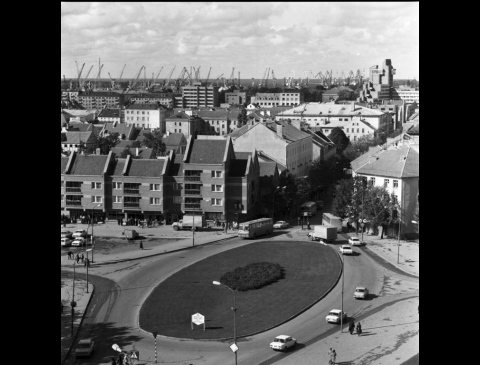 The old citizens of Klaipėda still remember the demolition of the perfectly preserved decoration of the street — the tower of the count Tiškevičius (circa 1945–1947). 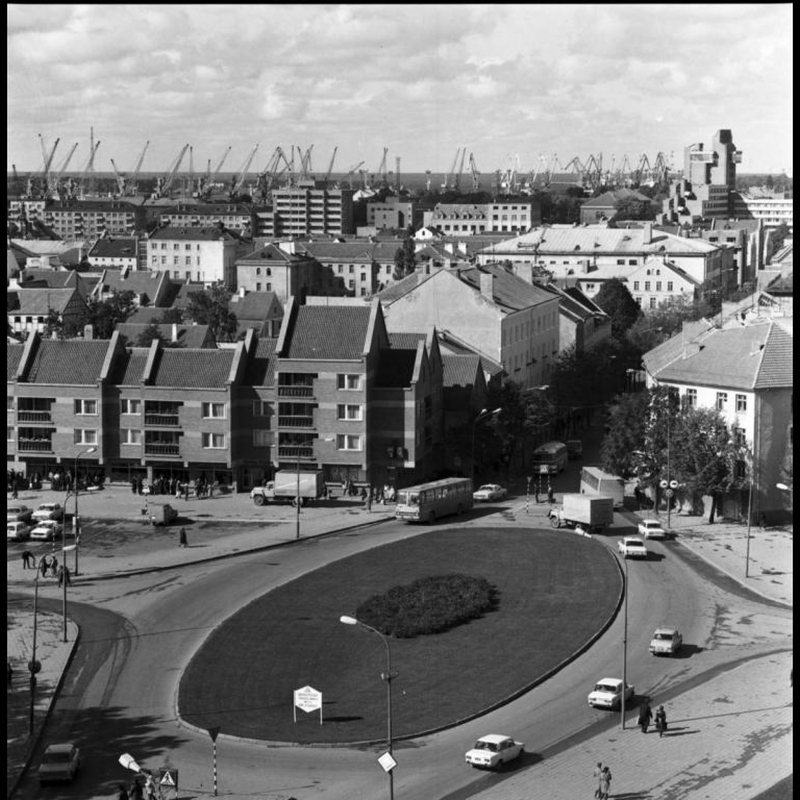 Currently on that location there is the statue of Neringa, designed by Dalia Matulaitė. Ieva Simonaitytė, the writer of Lithuania Minor, had also resided on Kūlių Vartų street for some time. 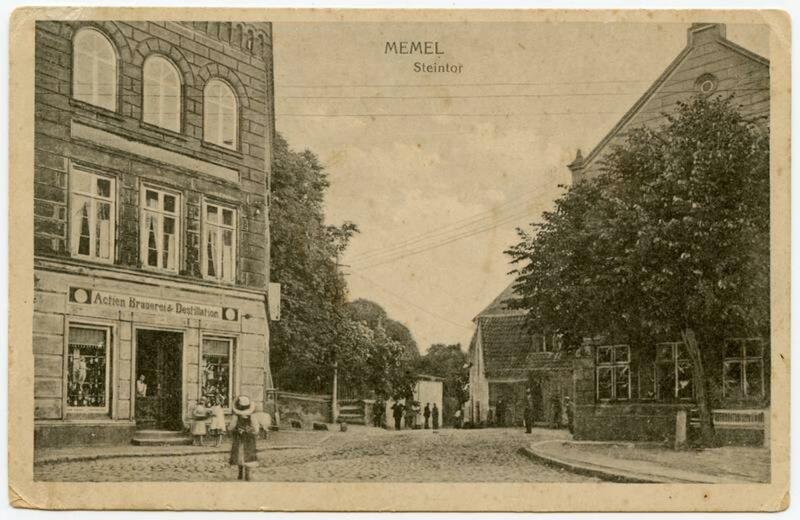 The young and still unknown writer came to Memel in 1921, when the city was ruled by the French, and stayed with her acquaintances and relatives. 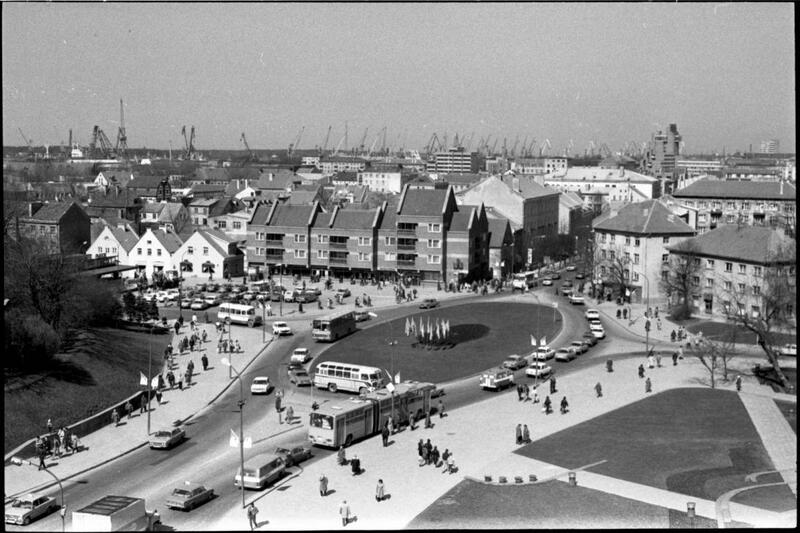 In her autobiographical novel Nebaigta knyga (The Unfinished Book), the writer often mentions Kūlių Vartų street, since her life in the young days often revolved around this place. 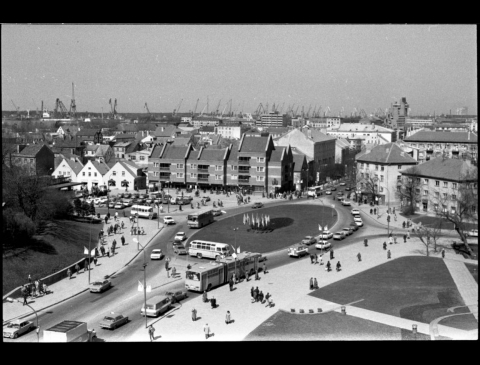 In 1921 she stayed with her distant relative Marė Jokamaitytė, who had married a worker, named Endrat and lived not far the Pigs market (Friedrichsmarkt) on Kūlių Vartų street. However, tired of abuse from drunk Endrat, she soon left her relative's place. 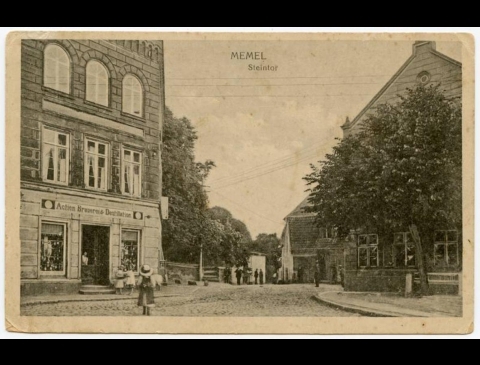 Later I. Simonaitytė rented a room on the very same Kūlių Vartų street at the home of the widow Gertrud Nieswand. None of these buildings survived to this day.